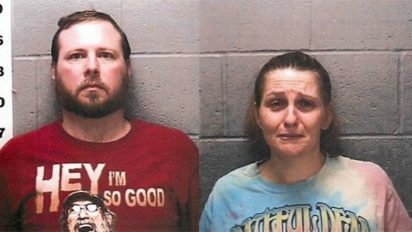 An Illinois, U.S., couple is facing a first-degree murder and two counts of endangering the life and health of a child after they allegedly starved a 6-year-old boy for two years as punishment. The boy who was “deprived of food by the father and stepmother as a form of chastisement eventually died from extreme malnourishment, while another boy, 7, was found deprived of food. The couple also left five other children living in “sickening” conditions at their home, according to police. Jerseyville police said Michael Roberts, 42, and Georgena Roberts, 42, allegedly “knowingly and intentionally withheld food and nourishment” for the two boys since December 2015, according to St. Louis Post-Dispatch. The couple is expected to appear in court on Monday, Nov. 13. They are being held in jail on $500,000 bond. It’s unclear how old the other children were but the Department of Children and Family Services had since placed them in protective custody.